I don't know. Last Ninja? Nah, that game had a top-down isometric view on the Speccy (not sure about other systems). 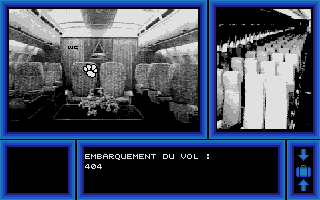 I remember this one from the Atari ST.
Is this screencap from a 16-bit system? Yep, it's from Jack Tramiel's 16bit machine. Hint: There are two games with the same title. One is a real flight sim and pretty decent, the other one is this game. But they did pixel WC on the door! 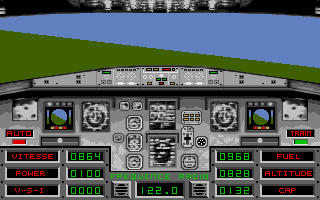 I recall the F-15 Strike Eagle games had huge 200ish page game manuals.